The 2018 ACAMS conference may be over but the conversations continue. In the podcast below, Protiviti managing directors Todd Pleune (Data & Analytics) and Ricci Franklin (Internal Audit) share their impressions of the most popular topics of conversation among attendees of the recent conference in Las Vegas. Complete transcript follows. Kevin Donahue: Hello. This is Kevin Donahue, Senior Director with Protiviti’s Marketing Group welcoming you to a new installment of Powerful Insights. I’m pleased to be talking today with Todd Pleune and Ricky Franklin, both of whom were in attendance at the ACAMS 18th Annual AML and Financial Crime Conference in Las Vegas. Todd is a Managing Director and a leader with Protiviti’s Data Management and Advanced Analytics practice, while Ricky is a Managing Director with Protiviti’s Internal Audit and Financial Advisory practice. Ricky, thanks for joining me today. Ricci Franklin: Yes. Good to be here. Kevin Donahue: Todd, it’s great to speak with you as well. Kevin Donahue: So Todd, let me ask you the first question. This conference brings together this year more than 2,000 anti-financial crime professionals, regulators, law enforcement investigators, and other officials to hear or learn about expert analysis of what is really a changing compliance landscape when it comes to AML and financial crimes. What were some of things you’ve been hearing and talking to people about at the conference, hearing from speakers and such? What are some of the major takeaways you’ve gathered at the conference this year? Todd Pleune: Yes, that’s exactly right. They actually said there were 2,600 people, and it’s been a very impressive conference, very high production value. I’m someone who works closely with the models so I understand the data and the model. So being at the conference, hearing about some of the different things I knew less about around anti-terrorism funding, anti-human trafficking was very interesting. Some of the things beyond the transaction monitoring and the sanction screening stuff I understand well. The other exciting thing as a data and analytics person was just the push around artificial intelligence, machine learning, and robotic process automation both to get better information for transaction monitoring as well as become more efficient, a lot of talks around how machine learning can help reduce false positives and make the function more efficient. Then others were around how machine learning can have better anomaly detection to be better able to apply beyond the normal stuff around spikes in transaction volume and some of the traditional scenarios that are looked at and into more sophisticated looks at anomalies to try and find inappropriate behavior. Yes, I learned a lot and it’s been a fun conference. Kevin Donahue: That’s interesting, Todd. Let me ask you a quick follow-up question. With regard to machine learning for example, maybe some of these other artificial intelligence and advanced technologies, where are financial services organizations today on that journey toward using these? Is it more like they’re just getting started or are some well on their way to leveraging them? Todd Pleune: It’s a wide spectrum. Some of the large banks definitely have systems implemented which use machine learning techniques to find alerts with the concept there being that the alerts will be more refined as they come based on these technologies. A lot of different vendors have tools and some are relatively new but some are in place, so definitely a wide spectrum. Kevin Donahue: Thanks, Todd. Ricky, let’s bring you into the conversation here. Same question for you. You’ve been there at the conference now for a few days. Maybe from the perspective of your internal audit and compliance hat on, what are some of the things you’ve been hearing about and talking to people about at the conference this year? Ricci Franklin: Yes, great. Thanks, Kevin. I’d say from my perspective, the objective is always to come to these forums and try and take with me feedback that we can coach and advise our clients on from an internal audit perspective, what are the hot topics, what are the regulators most focused on, and then how are your peers dealing with these types of things. Obviously with that internal audit hat on, I think as Todd mentioned, AI and robotics were significant area of discussion here at the conference. I think some of the takeaways involved in that is where to start. Audit shops are very interested in becoming more efficient, more effective in how they look at different areas within BSA/AML and with that, trying to gain more coverage, get away from maybe the sampling techniques and do more analytics and things of that nature. To do that, I think some of the conversations that came up in this conference were around the fact, the business line, the BSA/AML function really needs to have strong mature practices and processes need to be aligned so that as audit is designing robotics to gather information and look at that information, there’s not a significant amount of changes in that space so that it’s most efficient and most useful. But definitely, I think those conversations are coming to light. A lot of organizations are establishing steering committees. So as we look at this within organizations, I think we’ll be asking the question of how they’re handling, inventorying where they’re going to be doing AI, and how that’s going to be handled, making sure that the right people are coming to the table, the right insights are coming to the table, and that those things get designed, again the skills and feedback within the organization being appropriately shared. So once we look at the governance and structure of how these things are being implemented, that’s going to be a very important aspect for internal audit. I think some of the other areas of focus have been around KYC and CDD due diligence. We’ve got the new pillar of beneficial ownership and things of that nature. We’ve got rules that have recently been established for gaming and a variety of other areas. So it’s a continued discussion along how organizations are gathering, understanding, knowing their customers, what information they’re collecting and then again how they use that in the monitoring practices and ensuring that it’s effectively being used to identify suspicious behavior. Those have been some of the main topics that we’ve really been in tune with. Kevin Donahue: A great rundown, Ricky. A quick follow-up question for you too. From your perspective, your view right now, where do you see internal audit groups in terms of their skill sets and their capabilities to begin using analytics and different advanced technologies? Are they ready now? Ricci Franklin: I think a number of internal audit shops who have folks on staff or obviously Protiviti, we got folks with good analytical skills. I’m seeing it more and more, especially in co-sourcing arrangements where perhaps some of our MSB clients with internal audit shops, they’ve got folks on staff that have that analytical mindset and they’re able to look at things from that lens outside of just the typical sampling lens. I think obviously, as a firm , we’re ensuring that our folks are equipped with those skills to be able to apply that lens as well as their performing procedures. As we’re getting in the planning and scoping stages of audits, there’s always discussion and dialogue around how we can do things differently, how we can gain more coverage, what type of data is out there that we can look at and how we can sort, filter, and manipulate that information to be able to look at things from that holistic lens. Kevin Donahue: Todd and Ricky, I want to thank you very much for joining me today to discuss some of your observations from the conference this year, fascinating information to be sure. 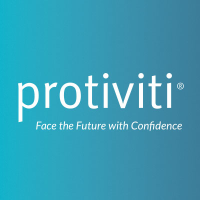 I want to invite our audience to visit Protiviti.com and specifically our data management and advanced analytics, our internal audit, and our financial services sections of our site where we have a wealth of content providing insights and analysis on these very issues.